Tiger pictures with shimmer, crystals, liquid art & mirror/black/2 tone frame. Classic Art Deco styling adds a touch of class to your pictures. Velour strut back for free-standing display. Larger sizes also have hooks for wall-hanging display (see photos). 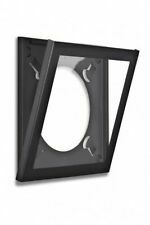 The range runs from a 2" x 3" in single or double aperture through to 10" x 8". All LP's vary in size and the unique design is there to accommodate these differences. They are Hand Made by myself in the Heart of Yorkshire. EASY CLEAN PERSPEX FRONT AND HARDBACK BOARD. On Your Confirmation Day Art Deco Photo Frame - Religious Verse & Dove 8.5" x 9"
PERSPEX FRONT AND HARDBACK BOARD. New Wedding Memories'Engraved Marriage,Certificates &Photo Frame &DVD Holder. With blue matching ribbon on a Scroll, A Beautiful Wedding Gift! These are a great gift idea for any occasion that can be personalised. EACH PICTURE IS BESPOKE HENCE, THE CRYSTALS AND LIQUID ART VARIES FROM PICTURE TO PICTURE. Hence, the picture may not be identical to the profile picture. Hence, the picture may not be identical to the profile picture. Unless/otherwise, the goods are unavailable, they have to be made. We have an extensive variety and sizes of pictures. They look beautiful up on the wall or displayed on a shelf and really are one of a kind and a lovely way to display your family. Special number/date for a wedding anniversary. The tree can be any colour. Can Hang or Stand. ❤ Fantastic gift for any occasion! It is important that the information within this box is correct. (Mon-Sat). We want to make sure that we get the layout correct for you. The liquid art and crystals have been beautifully embellished by hand to give the picture of the skull with crown and dazzling sparkle. This is a Excellent copy as original listed . Broken Crayons Still Colour Box Frame. Handmade box frame with a mental health quote on the front. For decorative purposes only. → Jewellery. → Bags/lunch bags. 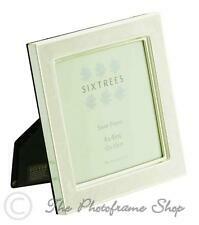 New listing A Free Standing Plated Photo Frame. Audrey Hepburn nail paint bottles crystals, liquid art & mirror frame pictures.